Fantastic and unusual work!Great details and colors! !Very well done! Yikes! 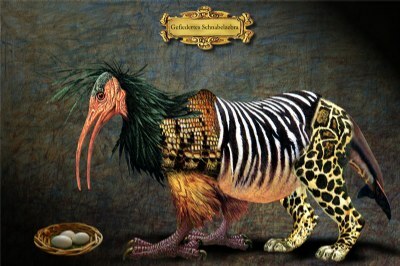 A very scary creature, Gerhard...lol. hahahahaha.... FANTASTIC! Well I want to see you collage a bug with a lion hahahahaha..... absolutely amazing work, congratulations, really I like that Gerhard!!! Unico, y muy interesante!, un abrazo!